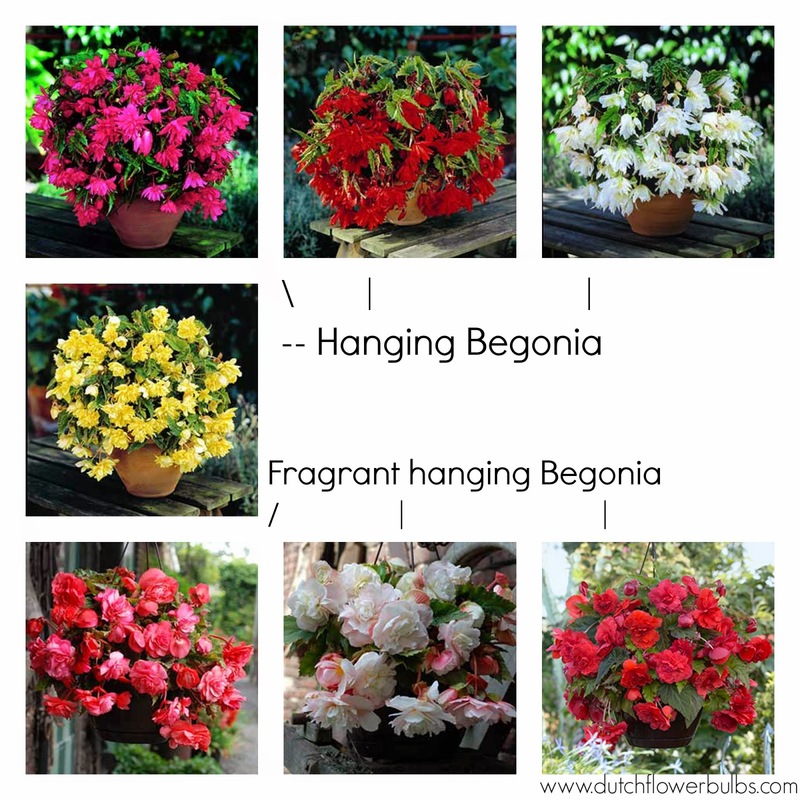 Today we want to learn you something about Begonia's. If you never had Begonia's in your garden, well where are you waiting for? We have three types of Begonia's on our website. Double begonia is the same specie as Single begonia. 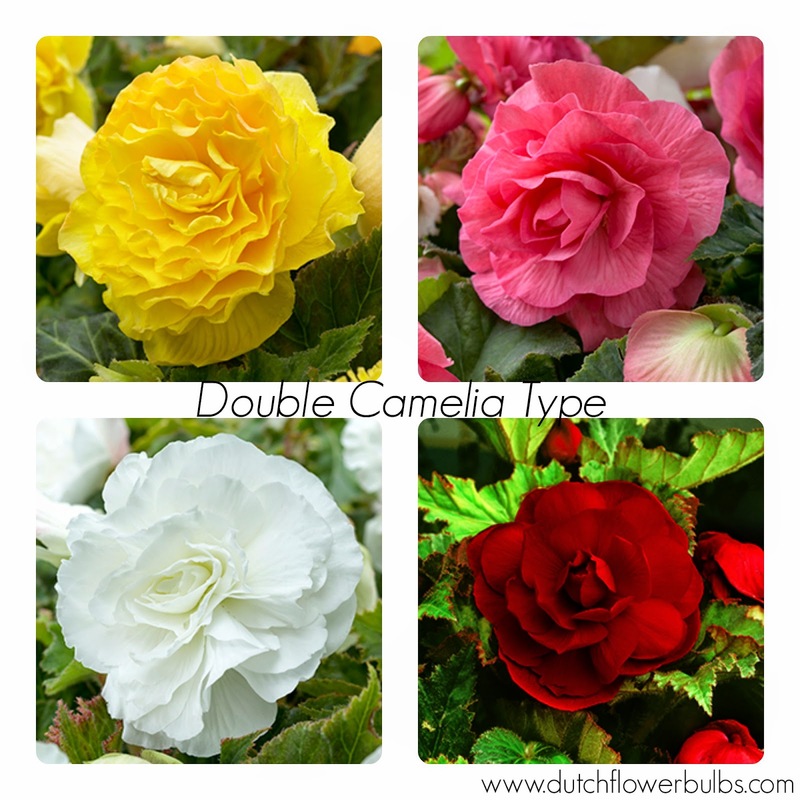 Double begonia is a varietie that has flowers with double sets of flower petals. 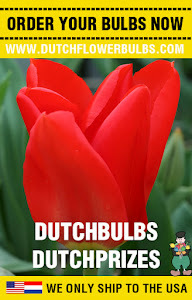 Plant the bulbs begin May and soil with a good drainage. We have more information in the picture down below! As the name itself says, it is a hanging begonia. So plant the bulbs in a hanging basket or in a pot, so the begonia's have plenty space to hang over the container or basket. 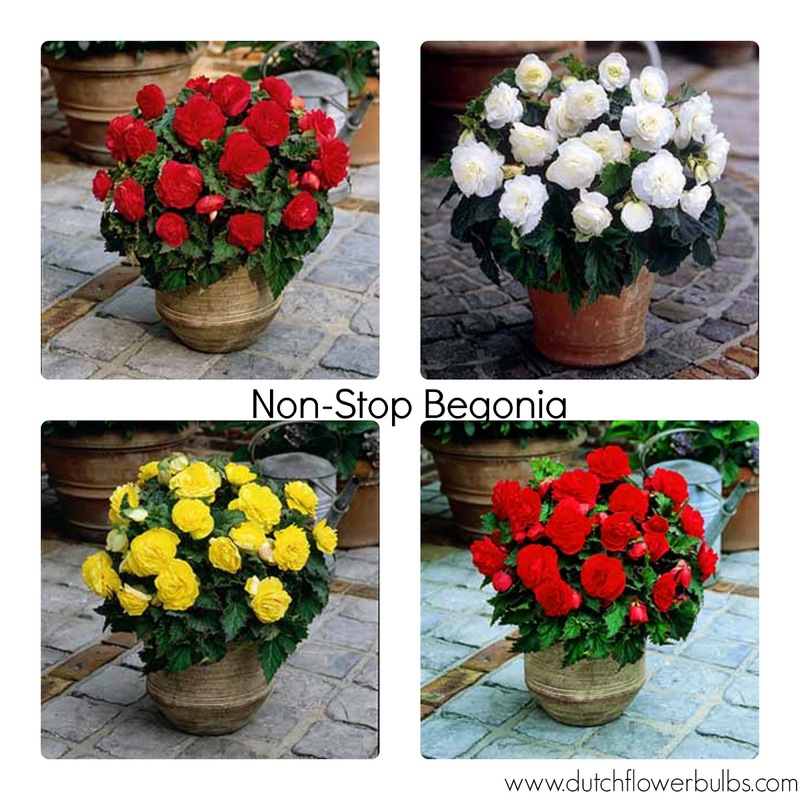 Non-Stop begonia's are probably the most popular series, with double blooms and they are in many colors. They are called so, because they give non-stop blooms. Thanks for reading this article, we hope that we have interested you (more) in Begonia's. Give it a try and you will be rewarded with beautiful begonia's in the summer!